So you want a fish who will brighten up your day? If you have a 6 foot or larger tank like a 125 gallon you are open to a type fish that can actually benefit your reef’s community in a way you would never expect. 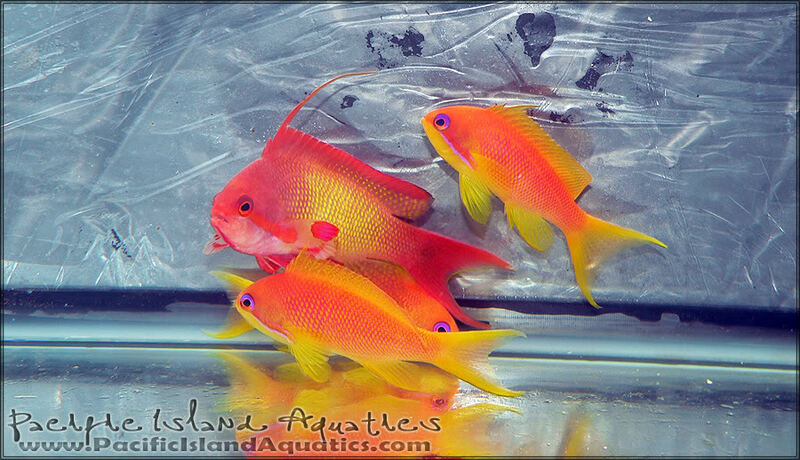 Lyretail Anthias are a very popular fish for larger aquariums. Before you dump one or two into your tank there are some facts to look over first. 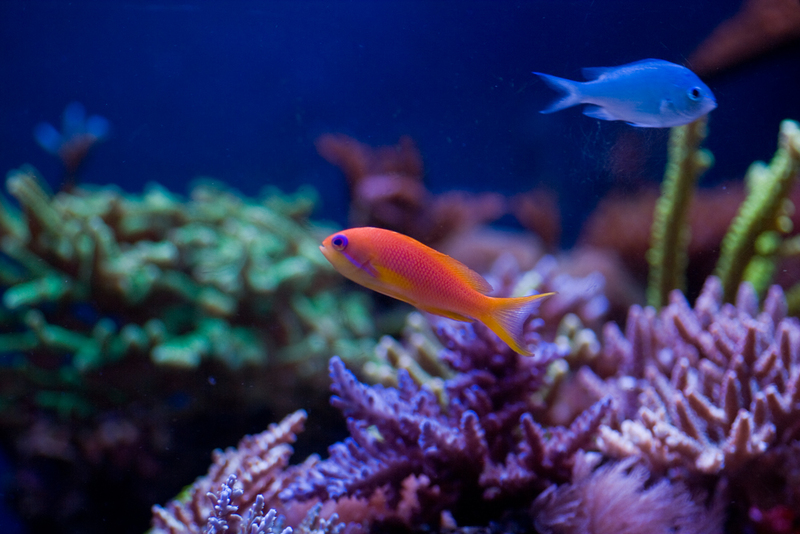 These fish have a very outgoing personality. They are the life of the party. If they notice a fish that is shy or skittish they are known to give them the courage to join the rest of the fish in their daily…whatever it is fish do to pass the time. They spend most of the day swimming around the middle of the tank but do swim through the rocks as well so hiding spots are a must, besides, they do need a place to sleep. 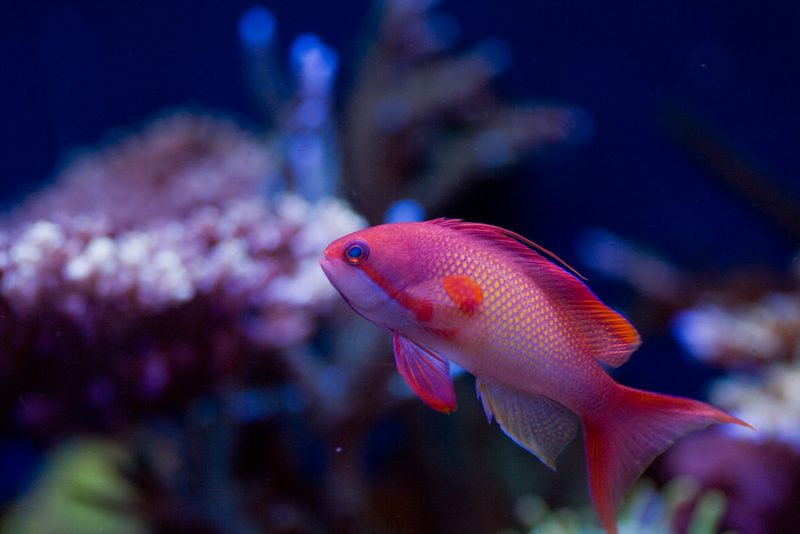 They are overly peaceful in comparison to other fish since they try to improve upon other fish’s social behaviors. Like most wildlife, the males can be easily spotted out amongst the crowd with their bright red colors that often have a variation of colors within the overall red appearance while females are more of an orange in comparison. If a male dies in a group of fish, the dominant female will change its gender just like the clownfish does. These fish need at least 125 gallons of water, and that is cutting it close. They grow up to 5 inches and if you have 3-4 you are looking at 20 inches of fish!!! If you plan on having multiples you should consider a larger tank or you my run out of space for other fish, causing unnecessary stress on both you and the fish. Always keep one male and a group of females if you plan to have a small school of these awesome fish. Lyertails are carnivorous, though they don’t like eating like a hog like your wrasse or pufferfish normally would. Instead, they enjoy having many small meals throughout the day. This may be due to their constant burning of energy from their active lifestyle. Feed them a large variety of foods. They like zooplankton, filamentous algae, and meaty foods like mysis shrimp or any other nutritious meats. NO BRINE SHRIMP PLEASE! The only time brine should be used is if the fish is very picky and will not eat other food. Freshly hatched brine with the egg sack still attached are very nutritious, but will still require additional food to meet all their needs. 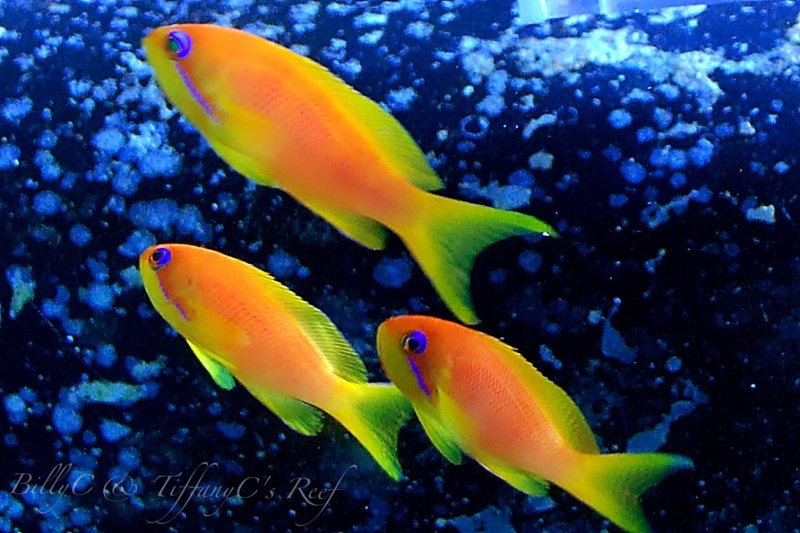 These fish are on the hardier end of the Anthias. In fact, they are said to be the easiest one to acclimate and train on frozen food. After you have quarantined them and are sure they are perfectly healthy and eating right you can acclimate them pretty quickly in comparison to more sensitive fish like angels. 1-3 hour drip acclimation is plenty for a Lyretail. If you have any questions or want to make sure your tank is perfect for your fish you can head over to the (Fish Discussion) and we will answer all of your questions. There is no need to guess when you have access to more reef knowledge than the public library.